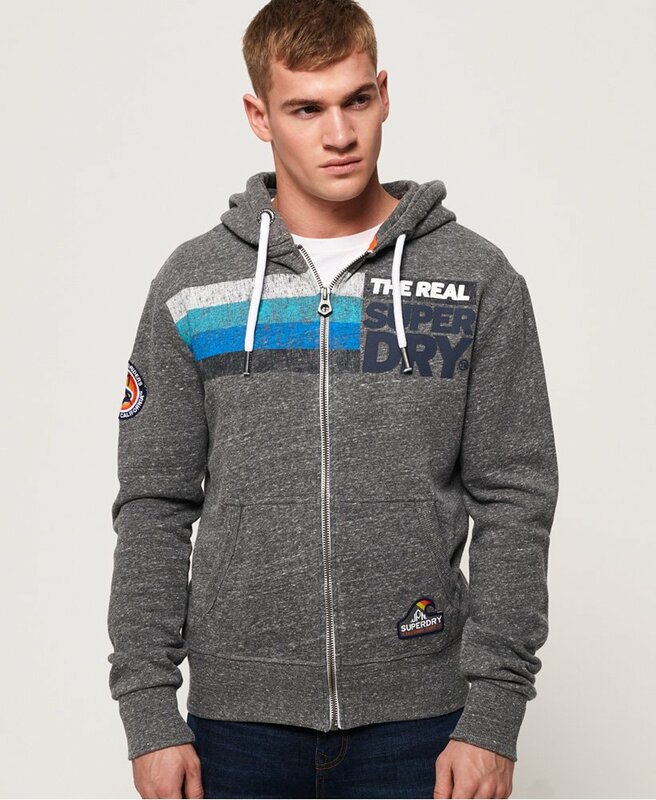 Superdry men’s Malibu zip hoodie. This premium quality hoodie is a comfort essential this season, it features a super soft brushed inner lining that is perfect for when the weather starts to get chilly. It features a draw cord hood, a single zip fastening and a Superdry logo across the chest. The Malibu zip hoodie also features two Superdry patches on the pocket and sleeve, as well as two front pockets. For the finishing touches, this zip hoodie has ribbed cuffs and hem and an orange Superdry stitch in the seam. This easy to wear hoodie can be paired with just about anything.